Anyone who owns a smartphone is familiar with one of the popular app games called Tiny Tower. The same people that brought you that addicting game are planning on making a brand new style to appeal to Star Wars fans. So what is it that we’re going to see in this Star Wars 8-bit style game? In the game titled ‘Death Star’ you’ll be helping Lord Vader and Emperor Palpatine construct the Death Star. 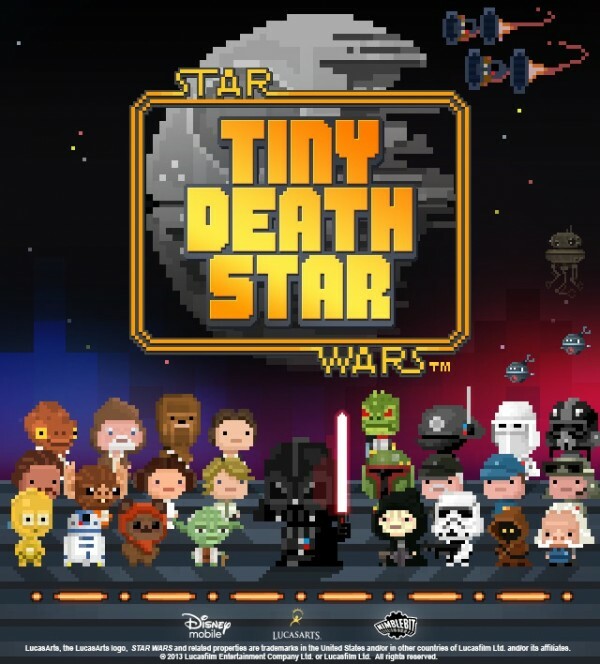 Disney Interactive announced Friday that the new game, featuring the same 8-bit animation style that helped make “Tiny Tower” popular, will have players join Darth Vader and Emperor Palpatine to construct a new Death Star and interact with iconic characters from the sci-fi franchise while building intergalactic businesses on the space station. No release date has yet been given but we can expect to be seeing it soon as apps usually come out quickly after they’ve been announced. So keep checking back for more details.